Is there any benefit for the average user that simply hold Monero in the wallet? Ofcorse it is. Noone can take it from you. It is yours. A fungible cryto currency you can send anywhere on the world. What else do you want beside financial freedom? We're glad to introduce you new international multinode pool powered by GeoDNS. Set your own payment thresholds for normal wallets + exchanges! Please feel free to reach us at support@minemonero.pro if you have any questions or even if you need teamviewer support to start mining. Stay tuned, give us a try and join at https://minemonero.pro! Liberty to create value is not a get-rich-quick scheme. Security against extortionists does not yeild a rentier's coupon. 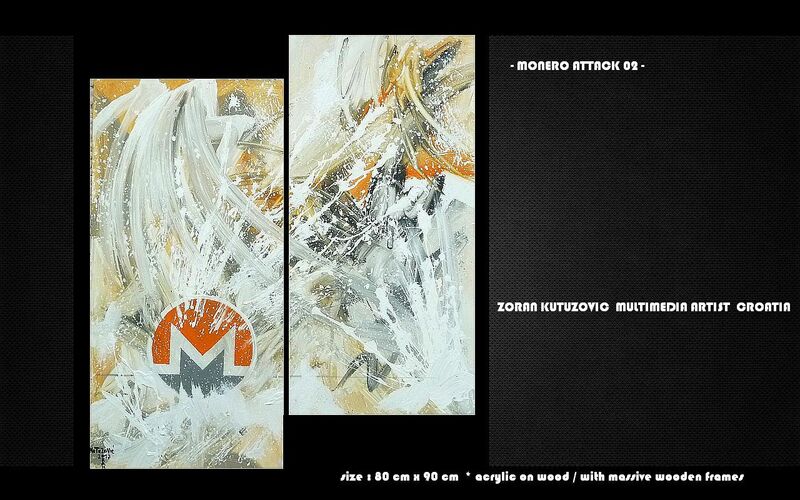 In each of these dilemmas, Monero offers the former, but lacks appeal for those seeking the latter. Personally, I wouldn't have it any other way. It is only the uncertainty of woolier, more timid minds that creates a mispricing to be exploited by those whose vision is bold and clear. I'm very proud for the monero team! Good development and marketing. One slight caveat with this scheme is that when restoring a wallet from the seed, the wallet might miss transfers to subaddresses if they aren't stored in the hashtable yet. To mitigate this issue, for each account, the wallet generates 100 (a constant SUBADDRESS_LOOKAHEAD_MINOR defined in wallet2.h) subaddresses of indices beyond the "fresh" index. The wallet also generates 10 (a constant SUBADDRESS_LOOKAHEAD_MAJOR defined in wallet2.h) accounts beyond the current largest major index. This means that the wallet restoration process is guaranteed to find incoming transfers to subaddresses as long as the major and minor indices of the used subaddresses differ by less than those predefined numbers. Even if the differences are bigger than those, you can still make the wallet recognize the incoming transfers by just expanding the hashtable manually and rescanning the blockchain. It sounds a little bit like the way Bitcoin handled change addresses many years ago, before the advent of HD address generation. Have a table of pre-generated addresses, and make sure you don't run out of them. It would be nice to have a more elegant solution for monero subadresses, one that eliminates inconvenience and complication. This is great, thanks for the share! Also, I'm glad to hear XMR is being added to Coinomi. I already use it so now I'll have the ability to store my XMR on my phone instead of my usual exchanges and mymonero.com. I'm starting a technology blog T4CH.top, check it out! Thanks for pointing this out, for years I never knew this was an issue as I only use a few addresses and all of them are on sites except one. Because you don't want people to be able to associate you with that anonymous identity by Googling your address, you'd want to use separate wallet addresses for these two purposes. While you can easily do so by simply creating two wallets separately, you're going to spend twice the time for scanning the blockchain and need twice the storage for the wallet cache. And this cost grows in proportion to the number of additional wallet addresses you'd like to have. If I recall correctly, the hashtable contains 10k subaddresses by default, which should be sufficient for the normal user. Although, I agree that in the future we might want to look at a more elegant solution. Is there an official Chinese name for Monero? 私币 is logical but lacks poetry and seems too venial. 私宝币 is only slightly better. As usual part of aminorex's posts read like Chinese to us mortals. As usual part of aminorex's post read like Chinese to us mortals. Well since Monero is just the English word money in Esperanto I guess you'll have to ask the language experts. At leastin the CLI wallet, you don't have to scan the blockchain to start a new wallet. You can choose the block to start the wallet scan at. So just choose the current block. You don't need to scan the blockchain for a new wallet, because such a wallet has nothing in it. ^^^ maybe they are talking about after the wallet is created and having to sync after a certain period of time not having synced it. Even in this case it seems a non issue to me as the wallet synced very fast, we are not talking about the daemon. As far as a separate wallet cache, is this really an issue? Who has just one wallet? Edit: I think if is possible to choose a wallet sync height with the GUI. I created a GUI wallet for the first time not long ago as I needed another wallet where I could easily check tx hx and that is easy to do with the GUI. I have no clue maybe it is old info that wasn't updated? I'd like to know though. Personally I would be happy to see some more realistic prices, especially in comparison to Dash. Trusted OTC exchange runs on a new level! Now we are accepting any cryptocurrency! If you need to make fast and well priced exchange we are here to help you! In this regard, we're announcing the Special price on XMR!!! Write me now to get more information! Forgive or Excuse for a silly question. 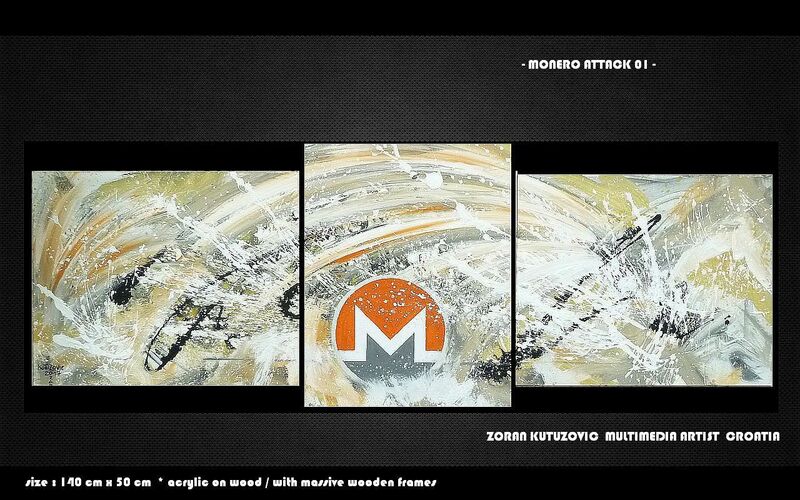 I read for a long time that the monero is conducting a series of forks to introduce complete anonymity and there they specified the date of summer-autumn 2017. so with each fork there could be problems but I glimpsed that it was successfully implemented without any problems. So, this series of forks is already over or is still going on? And is it at all, maybe I'm just confusing something)? They were every half year. Next should be in few months. I am sure block number is already set. In anonymity aspect it should set minimal mixing. Basically is not really needed, and that was a reason why i had problems to remember why this hard fork is needed, since like only 0.1% of transactions are non RingCT.